This winter I’ve been lucky enough to call Big Sky, Montana home. 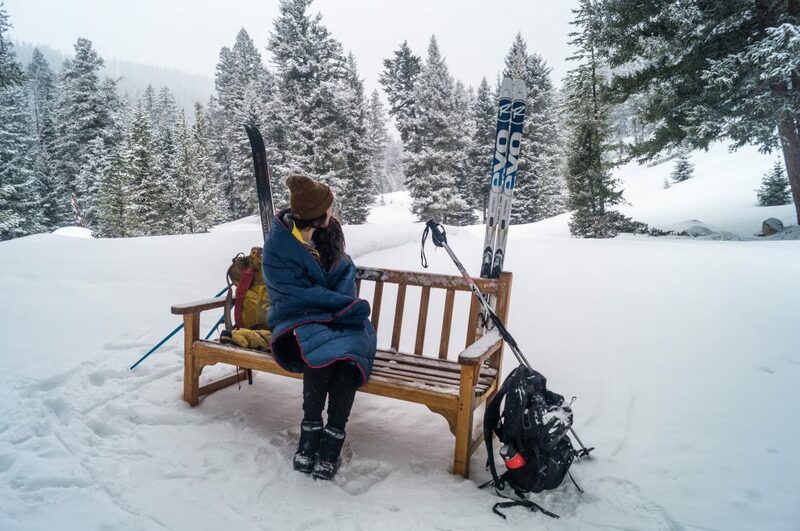 A winter in Montana will consistently teach you the true meaning of cold. So when I was given the chance to review The Original Puffy Blanket by Rumpl, I jumped at the opportunity! 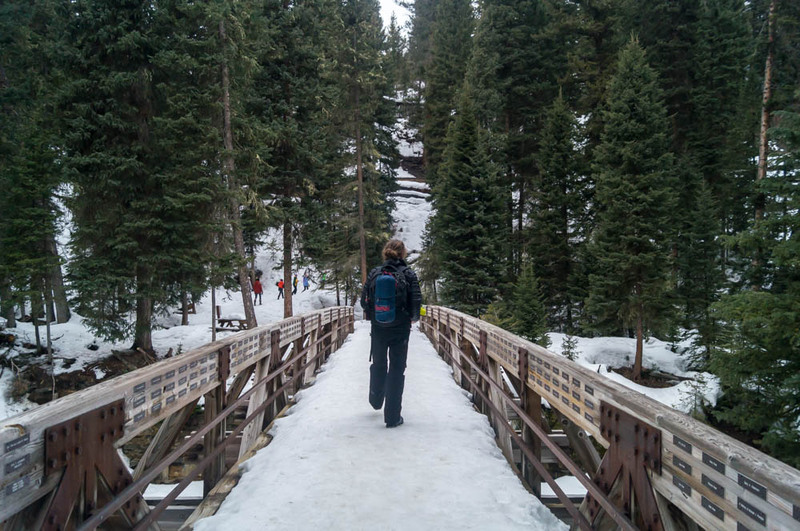 I’ve learned from years of hiking and camping, when you’re not moving you are going to get cold. Bearing that in mind, I decided test the blanket out by bringing it along with me for a hike up to Storm Castle Peak. 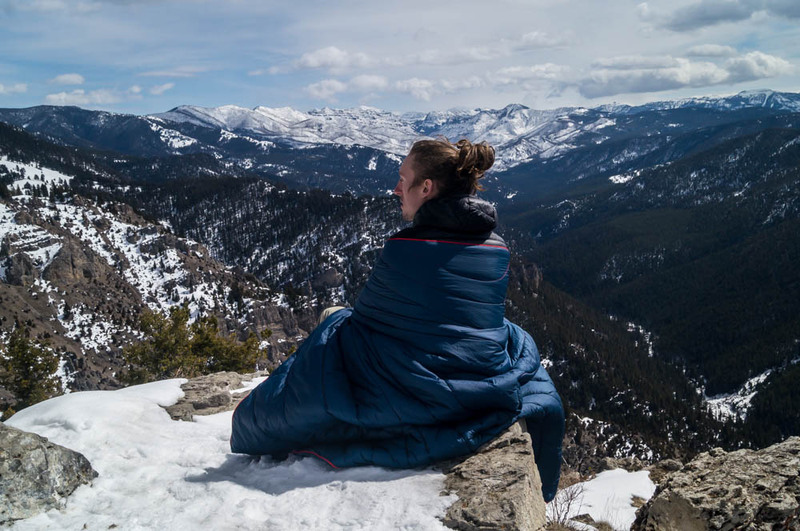 My aim during this hike was to test how portable the blanket was and if it could keep me warm when I stopped at the peak. 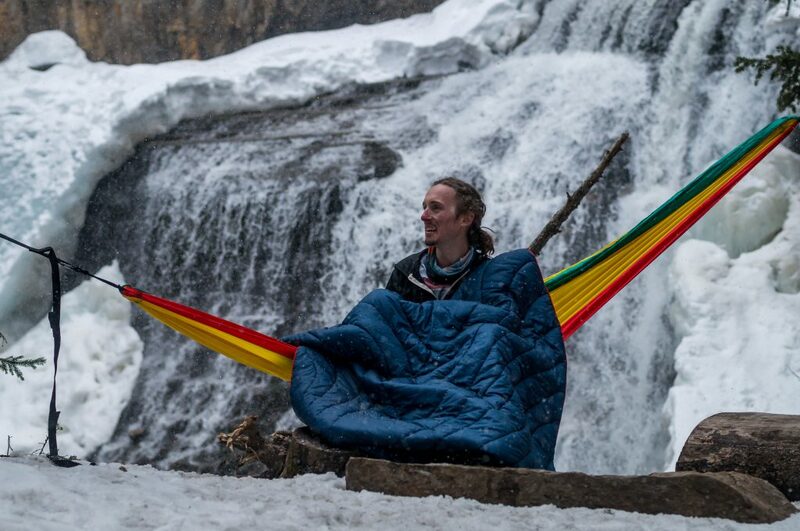 The throw Original Puffy Blanket is a 50” by 70” water resistant slice of heaven. The blanket comes neatly rolled up in a stuff sack and weighs only two pounds! There are three loops on the stuff sack which can be used to attach the blanket onto the outside of various packs. On the blanket itself, there are loops on each of the corners. These are useful for pulling the blanket out of the stuff sack quickly and for holding it over your shoulders. When I did my day hike up Storm Castle Peak, I had a small backpack. This meant I had to get creative with carrying my blanket. I found it best to use two small carabiners to secure The Original Puffy Blanket under my pack. This works well when you are walking and if you’re traveling in icy conditions the stowed away blanket makes for a great cushion if you fall. The blanket is filled with 3D hollow fiber insulation and wrapped in ripstop nylon fabric. 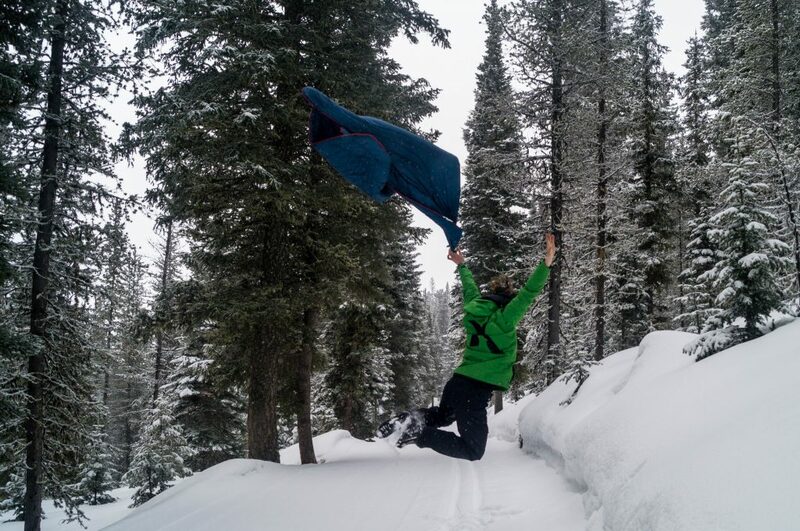 While using The Original Puffy Blanket I’ve stood on it in both dirt and snow. I found that the nylon fabric does a superb job at resisting both and the nylon is easy to clean if anything does stay. I’ve had my blanket get caught on tree branches and worried as memories of my old puffy jackets ripping flooded back. But I have yet to find a rip in the nylon or see any signs of insulation leaking through. At Storm Castle Peak, I stopped for an hour to take in the views. I was at an elevation of 7,300ft and the winds were gusting. I wrapped myself up in my throw blanket and felt warm and cozy while I watched the clouds go by. Due to the three loops on the stuff sack, the blanket is easy to carry when stowed away. Holding the blanket over your shoulders has been made easy by the loops attached to every corner. However, a fastening mechanism like a buckle or clasp that allows users to have the blanket draped over their shoulders would improve the usability of the blanket. This would allow you to be snuggled up and have your hands free to write or drink a warm coffee or both. We have all been there, it’s early morning and you should get out of your nice warm tent to cook breakfast and watch the sunrise. 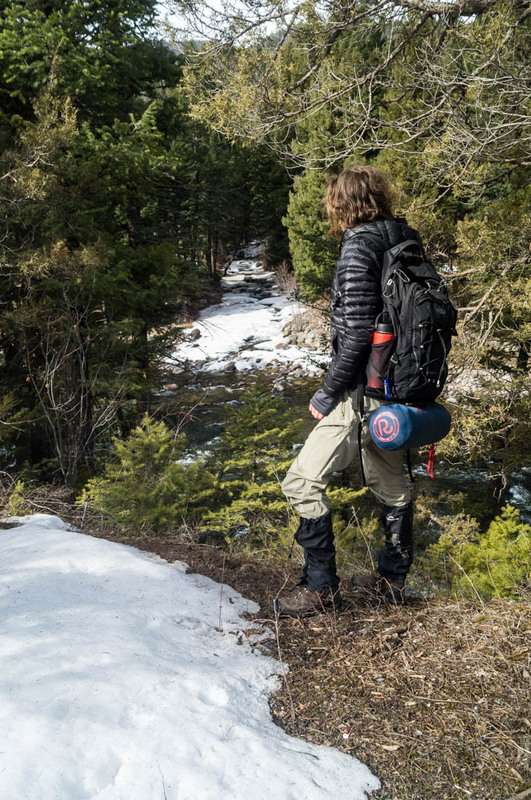 But heck, you don’t want to leave the comfort of your sleeping bag. I for one have been caught with the base of my sleeping bag undone, scampering around with restricted steps, trying to get the best spot to watch mother nature put on a show. 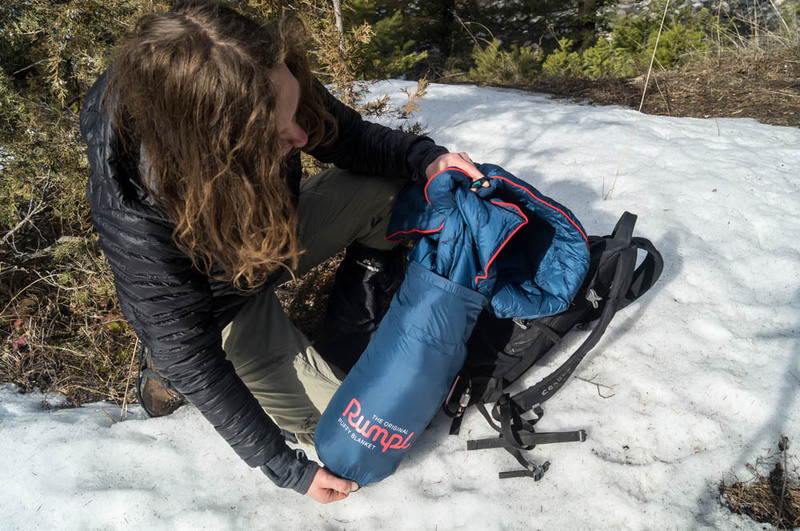 The Rumpl Original Puffy Blanket is a fantastic idea for people living “van life”, the lazy afternoon hammocker or the evening stargazer. 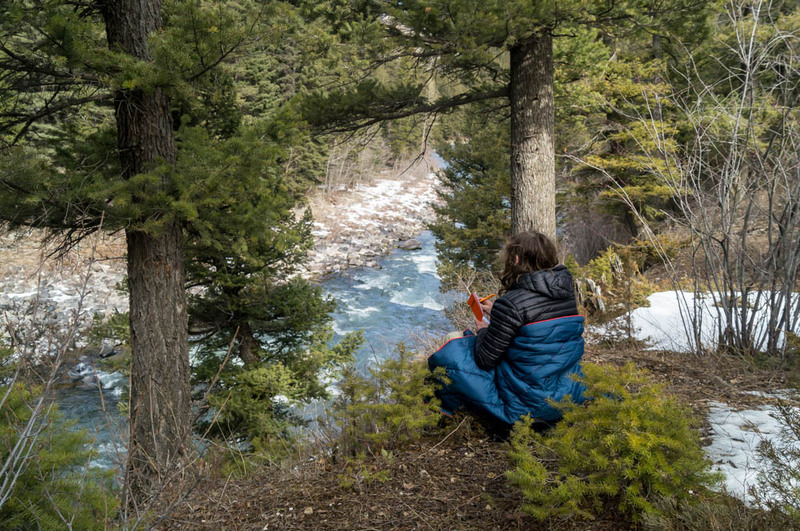 It’s lightweight, durable and most importantly warm enough to rival most sleeping bags. Shop Rumpl on Outdoor Prolink. Not a member? Apply today! Benjamin Scott is a Water Engineer, weekend warrior and volunteer S.A.R. member from Christchurch, New Zealand. He recently finished a year aboard in America, where he spent a summer as a photographer in Alaska and a ski technician in Montana. 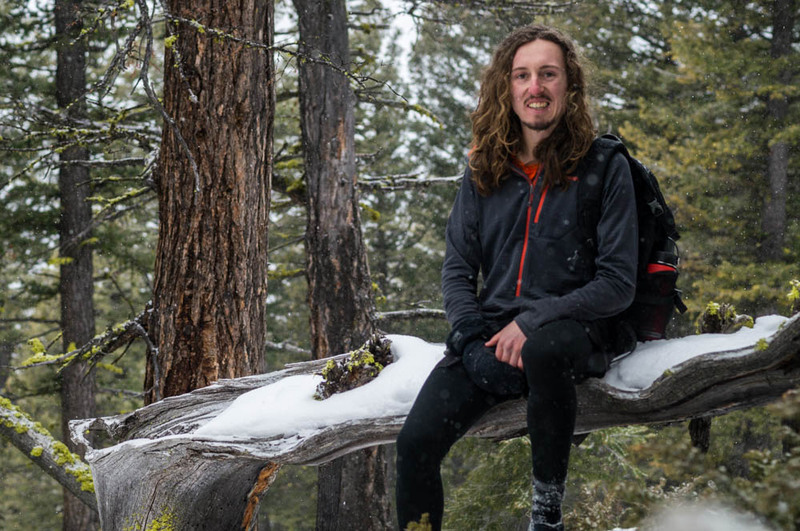 During his spare time, Benjamin likes to backpack, trail run, hammock and ski. Find him on Instagram, @b.scott_photography.